Real time GPS and location tracking plow trucks, help in the fight against mother nature’s wrath. 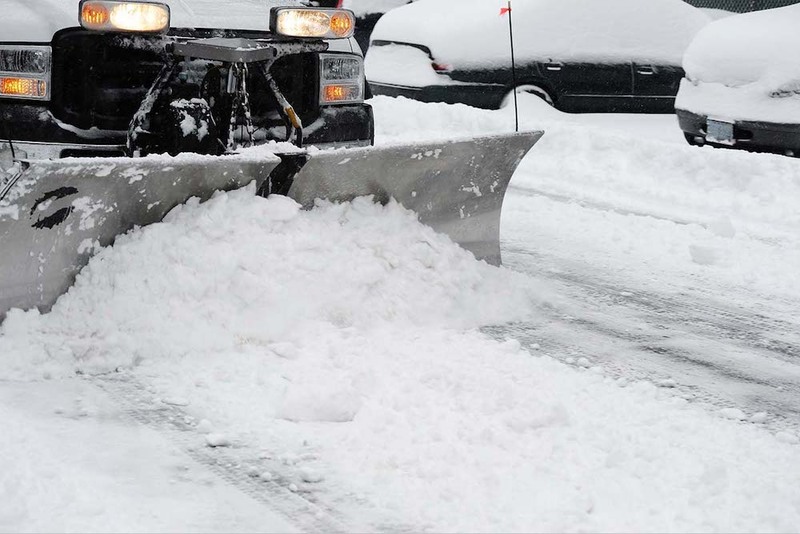 Commercial properties can be completed in the agreed upon time frame with our advanced fleet of Modified plows, with extra blades for back dragging, keeping your property safe from snow build up. 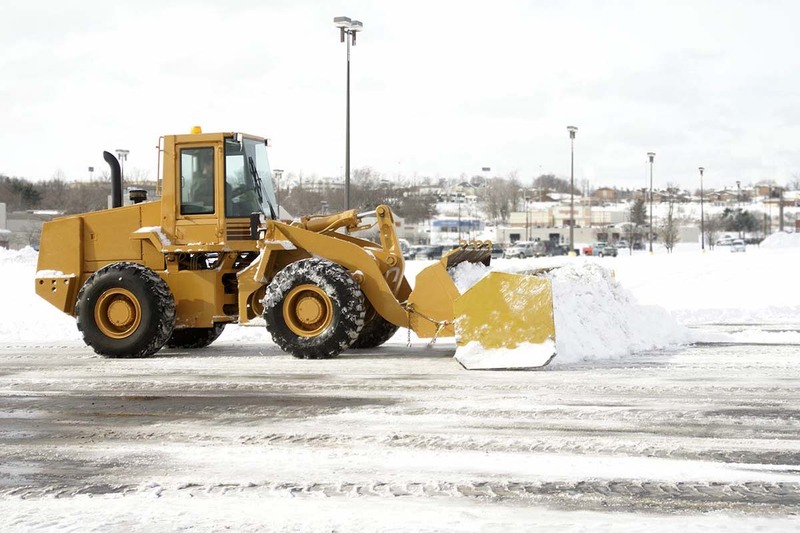 We have in-house commercial sanding trucks to sand after every plow when parking lots are not down to bare pavement. Pickle mix is the local mix we use for maximum traction in our climate. 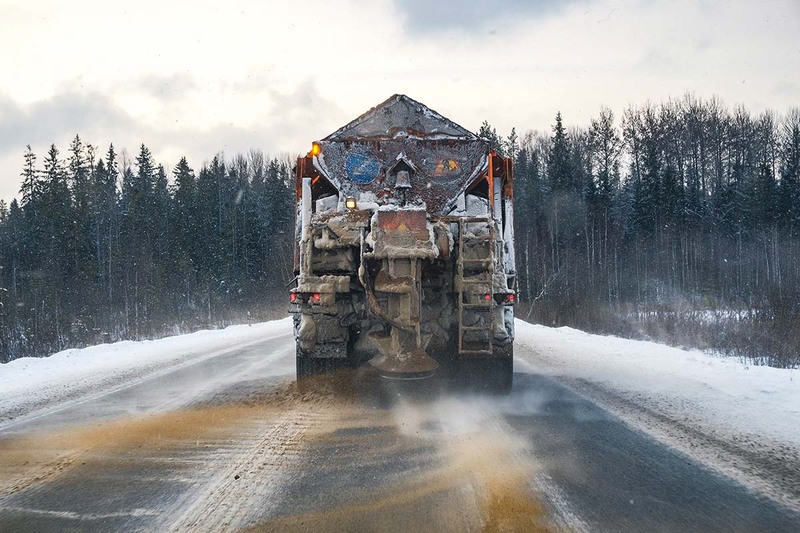 Sanding trucks are a must for safe walking and driving conditions in our winter months. 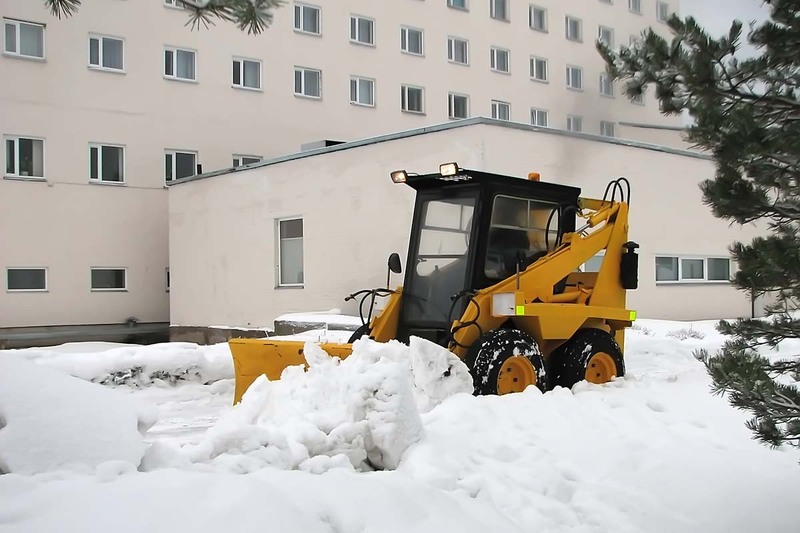 Safety is of utmost importance and sweepers can remove light snows quickly and effectively. 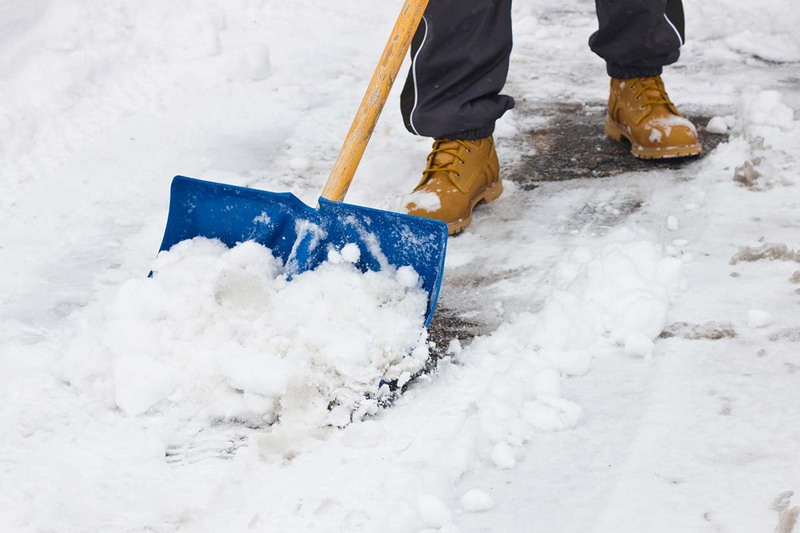 Walks when swept regularly require little salt better for the safety of your customers and staff and your bottom line. The notorious freeze thaw conditions of Calgary weather causes a lot of ice. We have state of the art equipment combined with high trained personal to give our customers the best ice control solutions at competitive prices. Salt is used during milder temperatures, switch to calcium chloride or magnesium chloride. Sites are monitored for the duration of the contract on a daily or weekly interval depending on the weather. This service is included in all contractors at no additional charge. 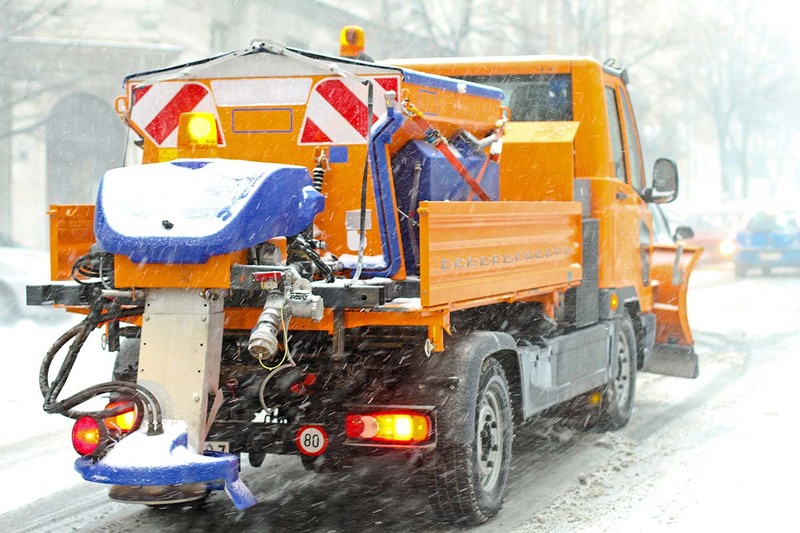 Many Commercial snow contractors do not offer this free service. When machines can’t remove the snow, we use back pack blowers and hand shovels. We rarely get call backs cause our crews are not afraid to remove snow in those tough areas to access with equipment. Heavy equipment although slower, they have more down pressure than that of truck plows. 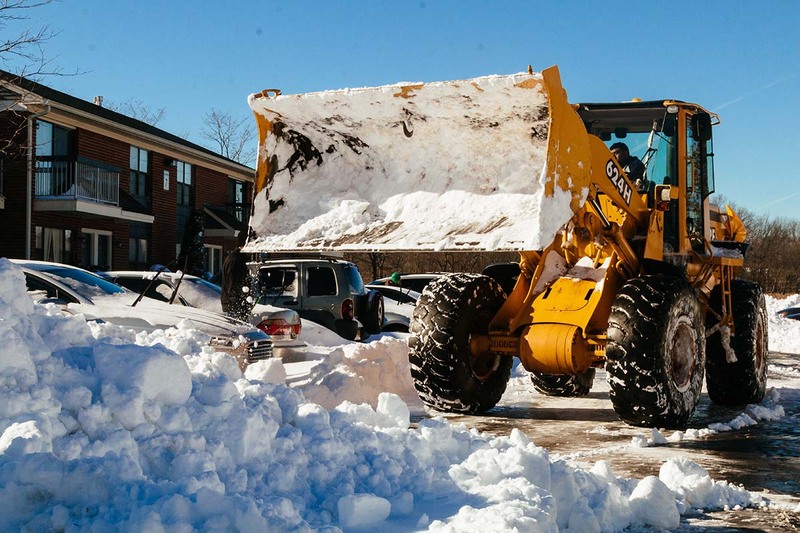 Skid steer and loaders can create higher snow piles, requiring less area, important in busy parking lot We most often combine both methods for maximizing efficiency. Our crew leaders are seasoned professionals and it shows in attention to detail. We work on time and on budget. Our top notch equipment mixed with our crews talent is why we can offer very competitive prices. Our crews have certified SIMA training. Having small pieces of snow equipment are perfect for tighter areas when larger equipment can not be used. We have ATVs and mini loader equip to plow in those areas where shoving to time consuming and cost prohibitive, resulting in competitive pricing. We have many options available for our customers when it comes to contracts also. 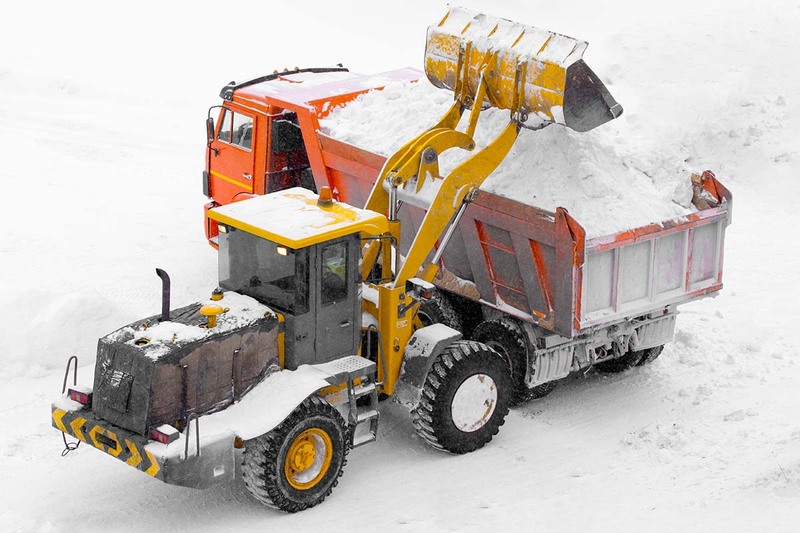 We can provide our services hourly, per plow, and per trip Sanding. 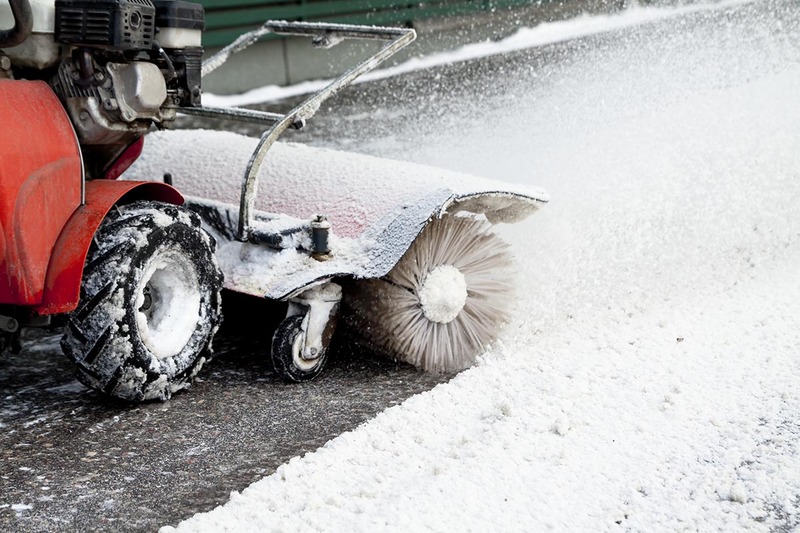 If you want a more significant saving then monthly or Seasonal contracts group many of our snow services together offering the most significant saving. All contracts include top-notch service. Contact us today to discuss which option is best for your needs.